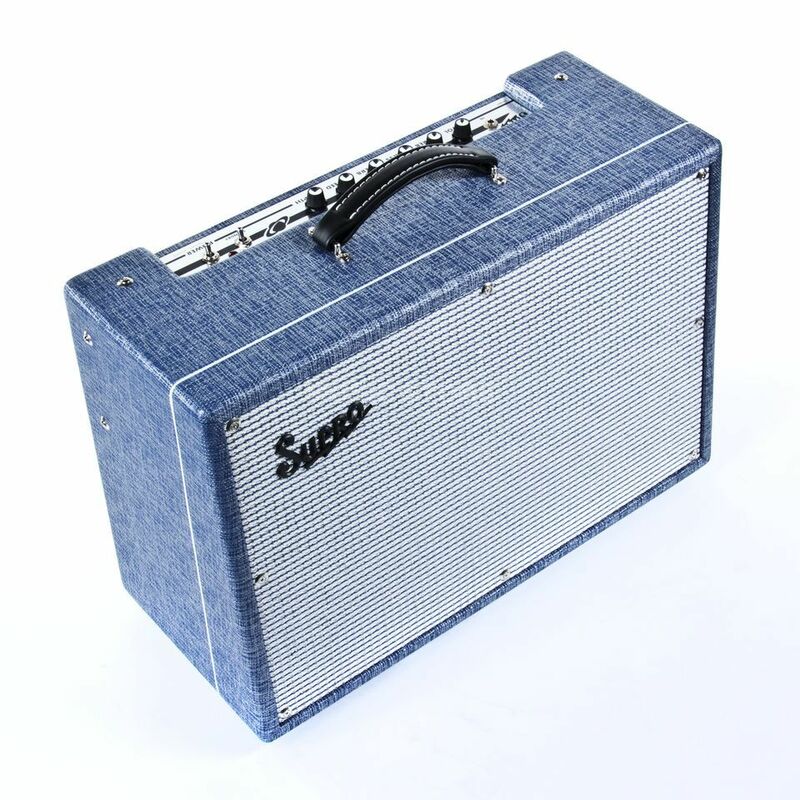 The Supro 1648RT Saturn Reverb Guitar Amplifier Combo features a 15W power rating through one 12" BT12 speaker with all-tube reverb, output-tube tremolo and includes two 6973 power tubes. The 1648RT Saturn Reverb is a retro model designed for a working guitarist who needs a lightweight, vintage-flavored amp with world-class tube reverb. This 15W, Class-A 1x12 combo is powered by a pair of 6973 tubes with a 5U4 tube rectifier giving you the ultimate in tactile response and signature Supro breakup. The Saturn Reverb’s low noise floor makes this amp perfect for players who prefer to crank the amp and use the guitar’s volume knob to control texture and dynamics. Independent treble and bass controls allow the musician to fine tune the frequency response of the preamp to accommodate a wide range of pickups and varied stage environments.